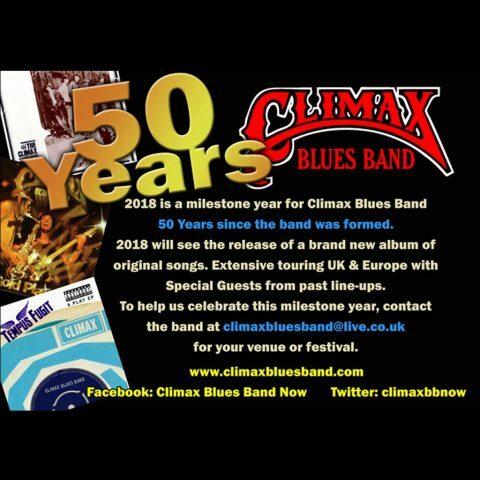 It is 50 years since Climax Blues Band was formed. Come see us at the Durham, Leicester & Newport Blues Festivals or in Cleethorpes…plus Birmingham, Leek, Lichfield, Nantwich, Scarborough, Poynton, Kiel or Rostocker. Please revisit our website for more gig announcements.